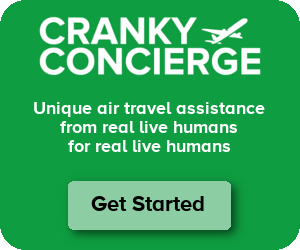 Part of the fun that comes with having the Cranky Concierge air travel assistance business is that I get to poke around in the Sabre Global Distribution System (GDS) regularly. And that means sometimes I stumble across issues that even the airlines don’t know about. That happened earlier this week with Alaska’s Saver (Basic Economy) fares. They are, in some cases, pricing higher in Sabre than elsewhere. Sometimes, the lower fare is first being displayed but then, thanks to Alaska’s uncompetitive ticketing policies, it can’t be booked. The folks at Alaska tell me that they weren’t aware of this issue (the technical issue, not the sales policies) until I brought it to their attention, and they are trying to get it fixed. In the meantime, watch out. This post is going to get technical, so buckle up. If you want to skip all those details, just know that if you happen to book Saver fares in Sabre or a website powered by Sabre, you’re going to want to double check with Alaskaair.com to make sure you’re actually getting the lowest available fare. There won’t often be a difference, but you don’t want to get caught paying more so it’s worth double-checking. For those of you still reading, let’s dig in. To understand the issue, I have to explain how Alaska sells Saver, or Basic Economy, fares. As you may know, airlines have fare booking classes, also know as RBDs or colloquially as “buckets,” which are used to help segment off demand. Here’s a look at how those buckets line up on a flight from Portland to Ontario in June. Starting at the upper left, you see F7. The F is full fare First Class and the 7 means there are at least 7 seats available in that bucket. (Alaska doesn’t show more than 7 seats even though there may be more.) In fact, except for the Y bucket which is full fare coach, the buckets in that whole first row are not important here since they aren’t for coach travel. On the next line, you see a variety of buckets in decreasing order of fare value. The regular coach buckets go all the way down to R which is where Alaska sells its cheapest regular coach fares. A low fare search will look for the lowest bucket that both has seats available AND has a fare filed. If one of those pieces is missing, say if R had availability but Alaska didn’t file a fare in R, then the system will move up to the next lowest available bucket to see if there’s a valid fare there. The “1 seat left” at $169 is for regular economy. That’s the K fare. But there is also that $149 fare that looks like it doesn’t have availability restrictions. That isn’t true. It has the same restrictions as regular coach, so there’s only one seat available. (Beware of that too, if you book direct.) But there’s a bigger issue here. That $149 fare is the Saver fare. Like all airlines, Alaska wants its Basic Economy fare to be a discount off the lowest selling coach fare at the time. To get that to price, it has to work a bit differently than a regular coach fare. Instead of just making sure there is availability in the bucket and a fare filed, it has to actually look for a third variable: availability in a related bucket. Saver fares all sell into the X bucket on Alaska. (American is B, United is N, Delta is E for their Basic Economy fares, so this is common practice.) Then to price, the system has to also see which regular coach fare is for sale. We know X is available, but in regular coach, the lowest is that K seat. So a search will turn up the Saver fare that is pegged to the K regular coach fare. That’s how Saver fares consistently show up $20 lower than regular coach. If T were available, for example, it would display as $20 lower than the T fare, whatever that is. At best this is annoying and at worst this is downright deceptive. I could build the entire reservation in Sabre, save the price quote, and then try to issue it, but the higher fare will apply. Now if this were happening with American, Delta, or United, it wouldn’t be a big deal. They guarantee fares for a full day for travel agents, so it could be manually issued at the right price. But Alaska has much less friendly policies and offers no such guarantee. That means there is no way to book the fare that Sabre shows you at the time of booking unless you book directly through a non-Sabre source that doesn’t have this glitch. That is, to say the least, problematic. It’s important to keep in mind that this doesn’t happen every time. This will only happen if you are booking the same number of seats as are left available in the regular coach bucket. In this example, we needed one seat and there was only one K seat left. But if there were two seats and you were trying to book two seats, you’d have to same problem. I had no trouble finding multiple examples of this, but it’s only going to happen on a small fraction of searches. I should also note that this unbookable fare only displays if you first book regular coach and then ask for the lowest fare. If you were to book into X directly as a Saver fare and then price it, it will automatically show you the higher fare. You would have no idea that a lower fare should have even been available. I’m not sure if that’s better or worse. I reached out to Alaska to get comment on this. I ended up on the phone with both Kevin Ger, Vice President, Revenue Management and Joe Carson, Director of Pricing, Revenue Management. They explained that this problem had been reported by groups that used the Amadeus GDS before, and they had found a way to fix it. But I was apparently the first to tell them that it was happening in Sabre. They’ve now submitted a request to Sabre to fix it, but there is no timeline. I will update this post when I get more info on that. I asked about any other GDSes being affected, but they said nothing had been reported. I’m surprised that once they found it was a problem in Amadeus that they didn’t just go test in every GDS to see if it was a broader issue. That lack of follow-through combined with unfriendly agent ticketing policies makes this even worse than it should be. It should make everyone wary about booking Alaska’s Saver fares through Sabre until the problem is fixed. That brings us to the final, important question. How do you know if you’re booking in Sabre? Obviously the Alaskaair.com website isn’t impacted. The big online travel agents like Expedia and Priceline don’t have this issue either. It’s primarily a problem for corporate/brick-and-mortar travel agents or people using self-booking portals to book their business travel. Hopefully this gets fixed soon, but in the meantime, just be careful. Cranky, Nobody can explain all of this better than you do. I wonder if back when deregulation went into effect, anyone ever dreamed that there would someday be things called buckets, 16 different buckets–for the same point A to point B coach service, Z, S, B, M, H, Q, L, V, K, G, T, R, X, N, W, and O. What can possibly make a service so different from one bucket to another to justify 16 fares. Someday, someone at DOT is going to rule there can be only one econ. fare, but, which can change from one millisecond to the next. If the airline wants to have 1,000,000 possible add-ons , or take-offs from that fare, fine, but why have 16 different fares from which to add or subtract? You want an assigned seat, add $30–to any fare. You don’t want an assigned seat, take off $30–any fare. On a given 150 PAX nonstop, no connecting PAX the airline could be charging 150 different prices. Supply and demand, plus what people want or don’t. I have no problem with that. But, what can possibly explain the difference between, say a UA IAD-LAS nonstop flight, where one day the econ-basic fare is $99; econ-regular is $611; the next day, same flight, same aircraft, econ-basic is $172; econ-regular is $257. I am not questioning the level of any of these fares, just how can the airline get away with charging the amount of the differences, basic vs. regular, on the same flight. How can the difference be $512 one day, $85 the next? UA used charge a $30 premium for econ-regular, but no more–now, the sky’s the limit. And, I’ve even seen some days where UA charges more for econ-basic econ-regular fare. How can that be? I’m not talking about coach vs. first. This is coach vs. coach. Sorry, “bucket-talk” just seems to set me off this way! Day of the week will determine what the airline will charge. Usually a Wednesday departure will be lower than a Friday or Sunday departure. This is not the first Basic Economy “glitch” involving third party booking sites. United books Domestic BE into the “N” fare bucket. But they use a different encoding mechanism for international Basic Economy. For example, from SFO-LHR round trip, with lowest fare bucket availability “T”, BE books into TKW46LGT, regular E books into TKW46NCT.